As parents, we live in constant tension: How thoroughly should we prepare our kids for the ugliness that exists in the world? For my son's safety, I can't afford to be vague when it comes to racism. Seeking and being embraced by members of the black community made me realize how much I need them to successfully raise my daughters. What started off as a fun day on the courts left my heart hurting for my two brown boys, and the kids who excluded them. Our six-year-old son has contact with his birth family. our four-year-old daughter was abandoned at the hospital at birth. After a recent meeting with our son's birth family, our daughter asked when she can meet her birth family. Should we stop taking her with us on these visits? Is it just confusing her? Racial bullying is especially harmful. Here are some strategies to help your child cope and respond to racial teasing. 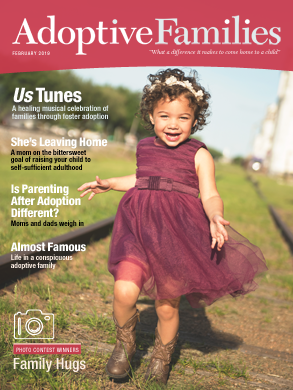 Being an adoptive parent begs the question, "what makes a family?" How I helped others to understand that my son by adoption is simply my son. I felt frustrated, thinking I'd never learn how to cornrow. Now, I show others how to care for tight, curly hair. A comparison of costs for domestic and international adoptions, the cost of adoption uncertainties, and more — data from our 2010-2011 Cost & Timing of Adoption Survey. How do you break bad news about job loss, illness, or divorce to the birth parents in an open adoption relationship? 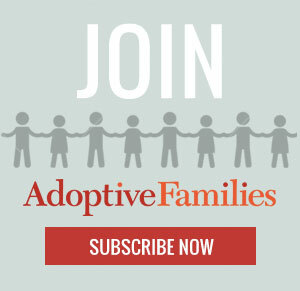 The results of the 2010-2011 Adoptive Families Cost and Timing of Adoption Survey.